Info: Dawa Tsering, 38, became the 11th Tibetan to self-immolate as a form of political protest against Chinese rule when he set fire to himself on the morning of October 25 in Kardze Monastery in eastern Tibet. 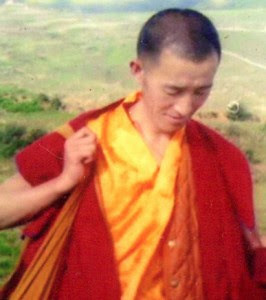 Dawa Tsering was reportedly participating in a religious ritual inside the monastery attended by hundreds of local people when he set himself on fire. His current condition and whereabouts are not known, and Chinese police have reportedly surrounded the monastery.